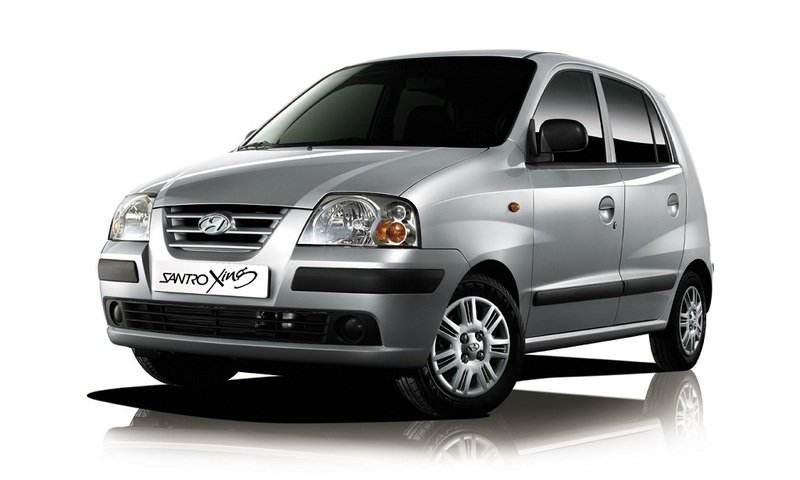 Hyundai Santro is the car which marked the entry of Korean automobile manufacturer Hyundai in the Indian auto market. The Santro came with a contemporary design, and later, it became one of the most appreciated cars of all time in the entry-level hatchback segment. Throughout the years of its production in India, the Hyundai Santro went through various changes and facelifts. Later, the automaker released the second-generation model of the car and named it as Santro Xing. The main rivals of the Hyundai Santro Xing at that time were Maruti Suzuki Wagon R and Maruti Suzuki Zen Estilo. The Hyundai Santro Xing is powered by a 1086cc, in-line 4-cylinder engine that produces a maximum power of 62 bhp at 5500 rpm while churning out 96 Nm of peak torque at 4000 rpm. The motor is mated with a 5-speed manual transmission. The car sports a nicely crafted interior with various noteworthy features and comfortable upholstery. Moreover, the Santro gets a contemporary exterior design that has been appreciated by many car buyers in the entry-level hatchback segment. The production of the car was discontinued in the year 2015. However, thanks to its unique features and futuristic design, the Hyundai Santro Xing is doing great sales numbers in the used car market too. Used Hyundai Santro Xing is one of the best-selling products in the pre-owned car industry today, and a lot of customers who want to purchase a good and reliable used car at an affordable price go for the used Hyundai Santro Xing. Furthermore, the car has a very good resale value that makes it a value for money product. At Droom, we have the largest collection of used Hyundai Santro Xing and the buyers can choose from a variety of options.